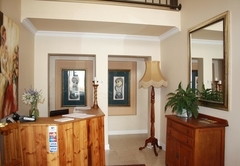 Florentia Guest House is a 4 star graded guest house offering Bloemfontein accommodation in 3 guest rooms. 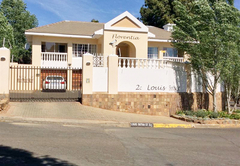 Florentia Guest House is situated in the Northern part of Bloemfontein in the charming old suburb of Waverley with its tree-lined streets. 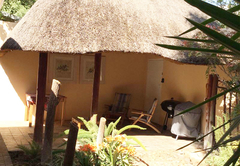 The Guest House is situated at the foot of Naval Hill, close to the Naval Hill Nature Reserve. The old Orchid House is within walking distance. The Oliewenhuis Art Museum and the residencies of the Chief of Justice and the Premier of the Free State are close by. 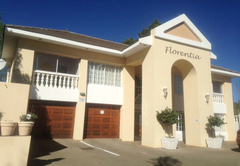 Florentia Guest House offers spacious bedrooms with large en-suite bathrooms. 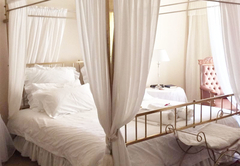 The three bedrooms have outside doors that lead into a small private garden for each room. The owner does not share any of these facilities. 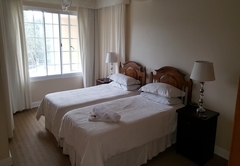 Each of the rooms has a fridge and coffee and tea making facilities within the room. 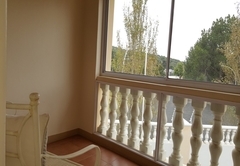 Each room also has a covered “stoep” (patio) with table and chairs. Lounge area for the exclusive use of the guests. 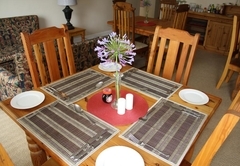 We are close to Bloemfontein’s two most popular privately owned seafood and steak restaurants. 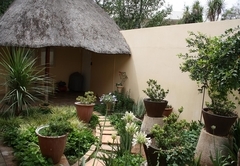 The daytime restaurant in the gardens of the Oliewenhuis Art Museum is within walking distance from Florentia and an experience not to be missed when visiting Bloemfontein. 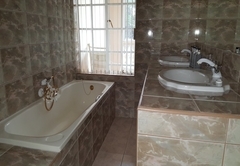 En-suite double room with Queen-size bed, bath and shower. 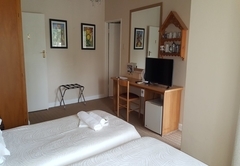 SABC and shared satellite TV in bedrooms, hairdryer in room. Toiletries, linen and towels are provided. Individually controlled air-conditioning in rooms. Safe, tea/coffee-making facilities and fridge in room. 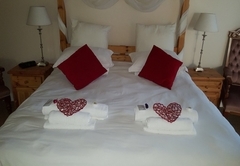 En-suite double room with twin beds, bath and shower. 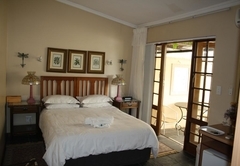 SABC and shared satellite TV in bedrooms, hairdryer in room. Toiletries, linen and towels are provided. 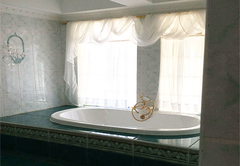 Individually controlled air-conditioning in rooms. Safe, tea/coffee-making facilities and fridge in room. 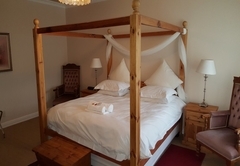 En-suite double room with King-size bed, bath and shower. 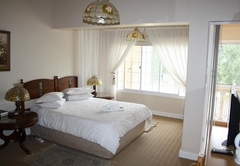 SABC and shared satellite TV in bedrooms, hairdryer in room. Toiletries, linen and towels are provided. Individually controlled air-conditioning in rooms. Safe, tea/coffee-making facilities and fridge in room. Very nice guest house, we enjoyed the stay. Response timeFlorentia Guest House typically responds to requests in 5-10 minutes.